Many Bahraini activists have borne the brunt of their government’s unjust laws, unfair convictions and unlawful tactics, but few have resisted with such steely resolve as the activists in the al-Khawaja family. Maryam al-Khawaja’s August 30 arrest on charges of assaulting a police officer at Manama airport –allegedly when officers attempted to take her mobile phone – will not have surprised her. Already in August 2013, staff at Copenhagen airport prevented her from boarding a flight on her way to Bahrain, so she was aware that the authorities didn’t want her in the country. Maryam only took the decision to fly to Bahrain this week upon hearing that her father, who began a hunger strike on August 24, was in danger of slipping into a coma. Abdulhadi al-Khawaja is a high-profile dissident who is serving a life sentence after a grossly unfair conviction. 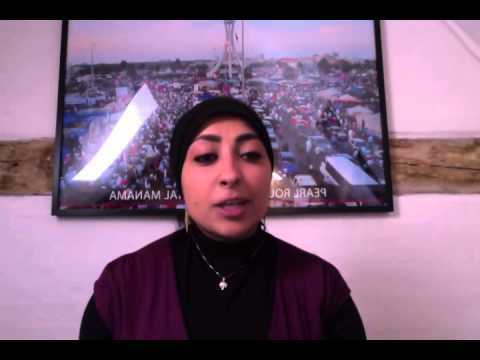 Since Abdulhadi’s imprisonment in 2011, Maryam and her sister Zainab have been among the most energetic and eloquent critics of a Bahraini government that brooks no criticism of its repressive conduct. Zainab al-Khawaja was released from jail in February 2014, after serving one year for taking part in illegal gatherings and insulting the police. Bahrain’s western allies bear significant responsibility for the worsening situation in Bahrain and for the calamitous circumstances facing activists in the country, including Zainab, Maryam and Abdulhadi. Had the UK, the US or the EU exerted real pressure for Abdulhadi al-Khawaja’s release and the release of other high-profile dissidents whose only “crime” has been to call for political reform in the country, Abdulhadi might not be on hunger strike, and his daughter might not be in Isa Town prison awaiting a hearing to decide her fate. Instead, Bahrain’s allies have opted for a disastrous policy of appeasement and acquiescence, and they have remained largely silent in the face of human rights violations that they would loudly denounce were they taking place in a less strategically important country. As a result, Maryam al-Khawaja is facing imprisonment, and her father’s life is at risk. It is long past time for Bahrain’s allies to show an ounce of the courage the al-Khawajas have shown and stand up for them and the rights they defend.